There’s a rampant cheating market in CS:GO, where developers sell cheats with the aim of them being detected, and some even offer a refund if your purchased cheats are detected by Valve’s Anti Cheat (VAC) Software. Why would they be so hasty to offer your money back? Well, so they can continue to update and evade the cheating software once again. It’s a weird concept to try understand as they’re developers who make money being dishonest, who are actually willing to give your money back. According to a comprehensive blog about Valve and hacking, author Dustin Webber dives deep into the backend of cheating, with some interesting revelations regarding the system which is meant to protect us and allow an enjoyable game. He compares the VAC system to an archaic Norton Anti-virus from the 90s, and that’s not a comfortable comparison. So how do these cheaters get by so easily? According to Webber, the alteration of a few lines of code of even the most easily detectable cheats can render them useful again, and it does not take the mind of a Pentagon hacker to figure them out. The low price of CS:GO doesn’t aid the growing cheating market, as CS:GO now costs around $15. These hackers are fetching between $20 and $45 per cheat, and this market is growing. Since it’s so readily accessible, what can be said about the integrity of the game? Users are buying these cheats in order to up their rankings in a system known as the Glicko-2 Rating System, which Counter-Strike uses for ranking. Some users even expand on the market by using the cheats themselves and selling boosts for players, or boosting someone else’s account. It’s no joke when I say the cheating market is rampant, and Valve’s Ant-Cheat software nowhere near sufficient to deal with it. The two play hand in hand, if you think about it. Someone buys CS:GO, buys a cheat, gets VAC banned, gets a refund, buys another CS:GO account, rinse and repeat. Who’s making the most money here? I’ll leave that deduction for the tinfoil hat wearers. 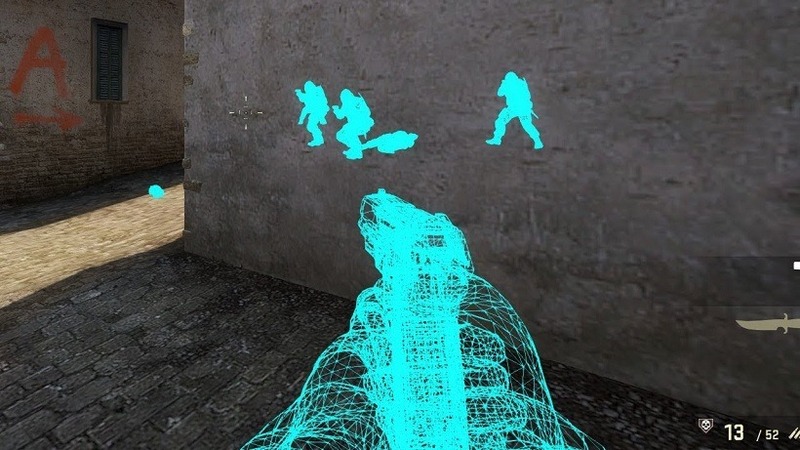 The blog continues to showcase how easy it is to alter the lines of code in cheat software with a free-to-play game, as doing it in Counter-Strike and publishing it would be illegal in certain areas. It takes an advanced knowledge of C++, and a few weeks of Google can teach you that. It’s ruining Counter-Strike, and the integrity of the game is dropping almost monthly as more people are flooding the servers with their cheats enabled.